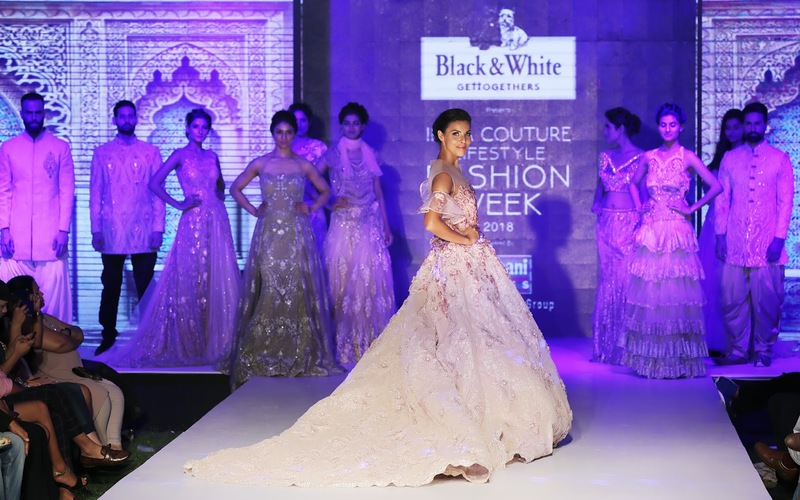 Up-scaled fashion & stunning makeovers illuminated the city of Dehradoon in all its glory and sheen with Fashion extravaganza ".INDIA COUTURE LIFESTYLE FASHION WEEK 2018 that took place at Hotel Madhuban, Rajpur Road. Splendid line of high couture fashion celebrated gala showcasing with distinct designs and trend setting looks that took direction to chart through contemporary and global course of high couture fashion.Two day long fashion extravaganza remained high on fashion finesse with play of colors, fabric, silhouettes and beautiful makeovers. Event was organised by Vibhor Gupta and Gaurav Gupta from VG FASHION ENTERTAINMENT and witnessed participation of models, designers, ace makeover experts and buyers from all over India. Veteran designers were roped in to dress inspiration from vast world of fashion and distinct sensibility of culture of India. Interesting interpretation transformed looks of models as Ace makeover expert Mallika Gambhir's, Persona Salon, Delhi and HER N SIR, Dehradoon and Ghaziabad created intricate, dramatic and innovative makeups and elaborate hair styles that offered a phenomenal show. Mallika Gambhir reinterpreted interesting and intricate detailing through makeovers that gave a phenomenal experience. Super model Deepti Gujral played muse for ace makeovers expert Mallika Gambhir as she created bold yet poised, beautiful and playful looks. Beautiful makeovers dived into era of regal nuances with strong yet subtle shades that played beautiful juxtaposition of ethereal fashion and strong silhouettes, Tastefully tailored dressed with dramatic volume offered mix of glitzy attires. Mallika Gambhir, building on the association with fashion week further took passion of makeovers a notch higher and unveiled stunning line of statement looks with celebrity designers like Nick Roshan, Khushbu Davaray, Kingshuk Bhaduri, Nitin Singh and celebrity designers Anjalee and Arjun Kapoor. Beautiful shoot was conceptualized and captured by Anand Studio Dehradoon. Show reached its crescendo with Glamorous models walking the ramp. Super models Hidda Siddiqui, Kimmi Kukreti, Marichka, Neelam, Paola, Priyanka Khatri and Rashi Rao, Jatin Khirbt, , Saud Khan, Shahnawaz added glam quotient to the event. Over 60 models from Delhi, Mumbai, Dehradoon and Rurkie walked the ramp. Super model. 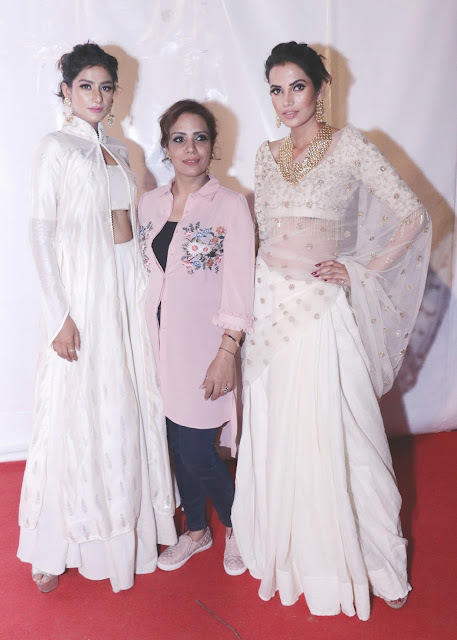 Deepti Gujral and Bollywood actress Anushka Ranjan were show stoppers show stoppers for Anjalee Arjun kapoor and Tina Ranka and walked the runway in jaw dropping couture fashion. Show was directed by Shie Lobo and kapil Gauhri was the Choreographer. Designers from all over India showcased several designs by renowned fashion designers from Mumbai, Delhi, Surat, Kashmir, Assam and Dehradoon. Event showcased and featured maximized creativeness to set global benchmark.